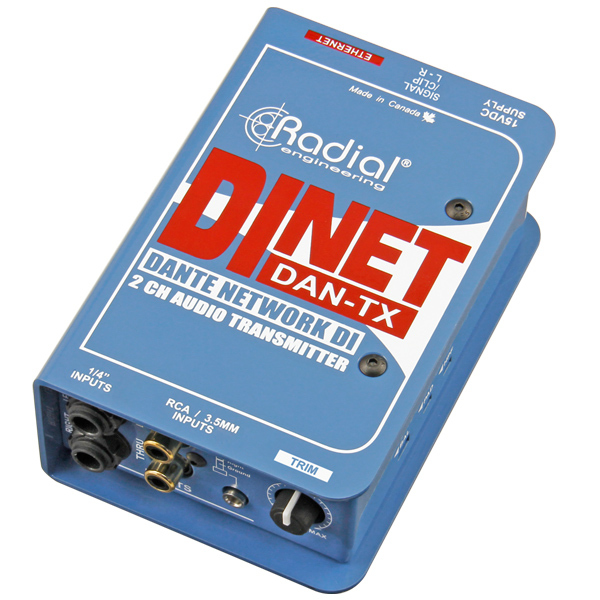 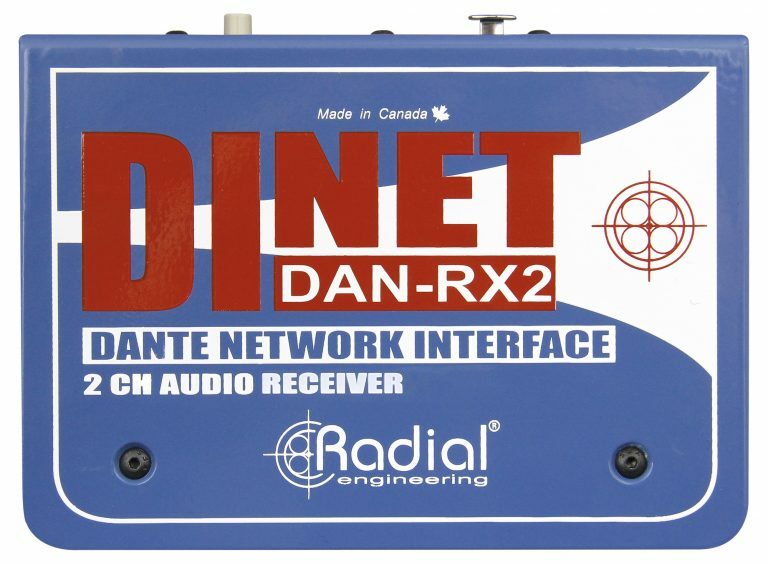 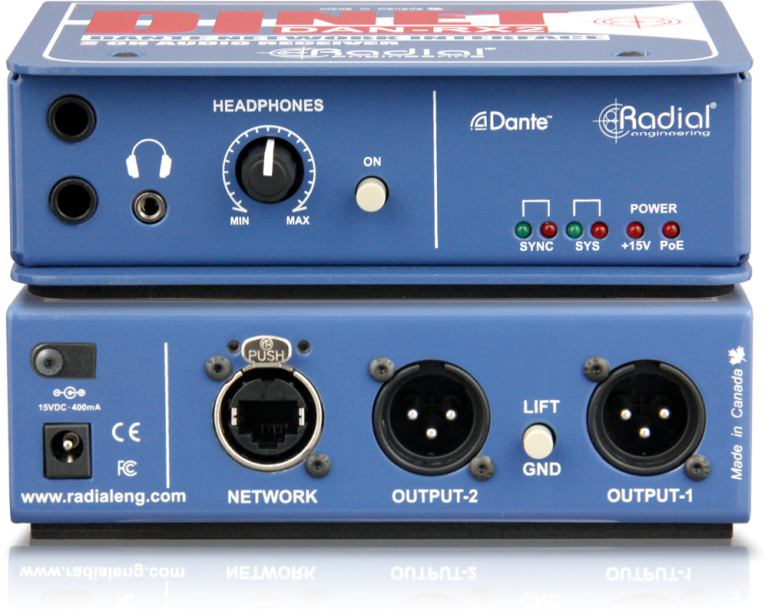 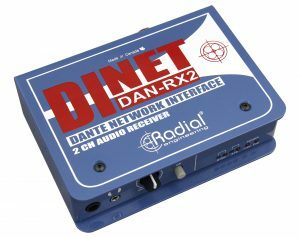 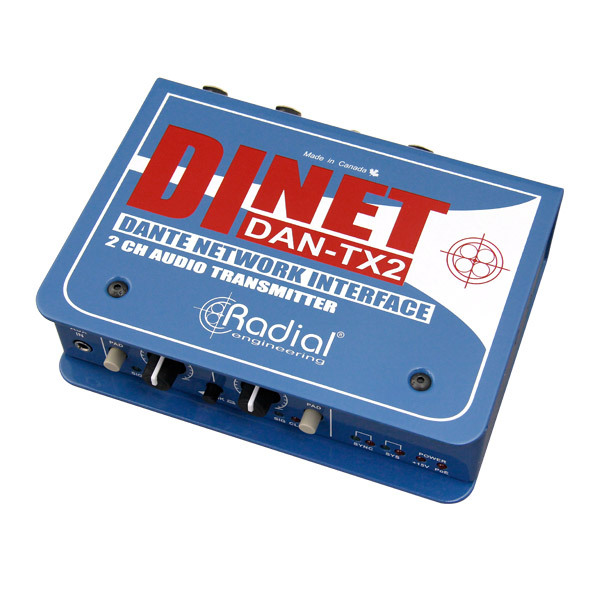 The DAN-RX2 is a road-worthy digital receiver capable of delivering two channels of analog audio to any location from a Dante or AES-67 compliant network. 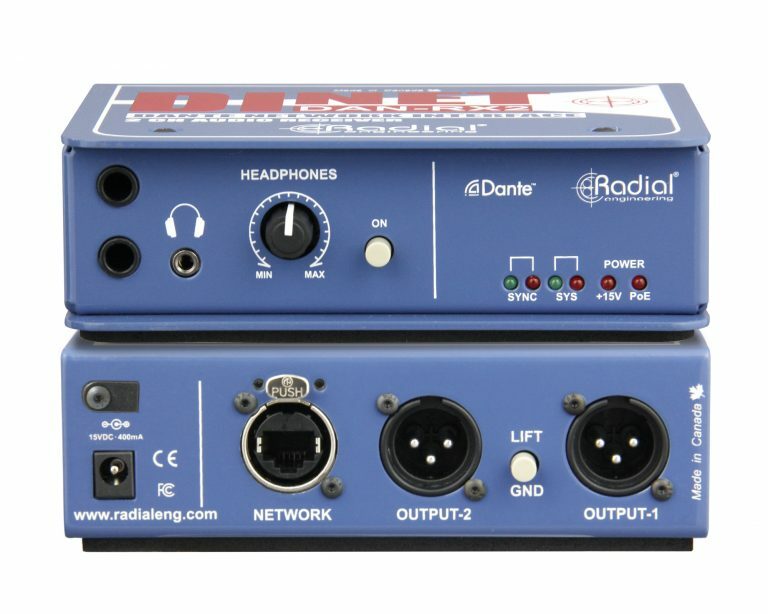 Balanced XLR outputs include a ground lift and a separate headphone amp with its own level control is included for local testing or personal monitoring. 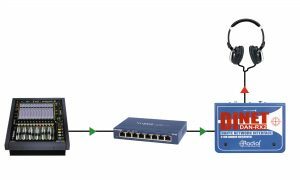 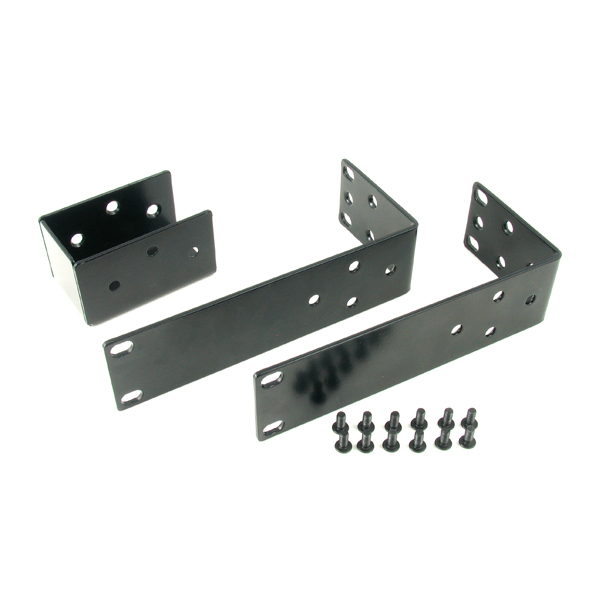 The RJ45 network connection is compatible with Neutrik etherCON connector carriers to prevent accidental disconnection and protect cable terminations. Redundant powering is available for critical applications by using the included external power supply and Power over Ethernet (PoE) simultaneously, and the DAN-RX2 can be mounted in 19" equipment racks with the optional SA series rackmount adaptor kit. 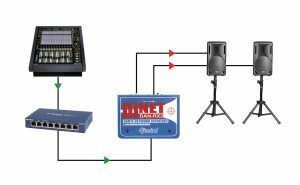 Quickly route a stereo feed to small PA systems in overflow rooms or remote locations within the venue. 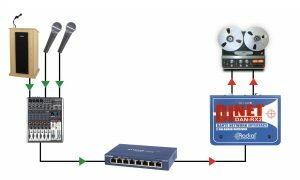 Press recorders are often placed in different rooms away from the live event. 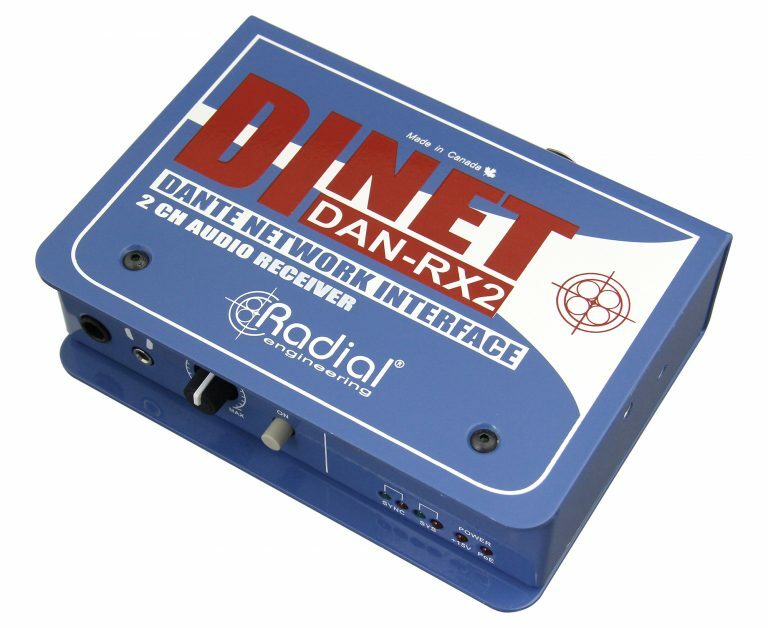 The DAN-RX2 provides an easy way to send audio to these rooms to connect directly to a recorder or to feed a press box when necessary. 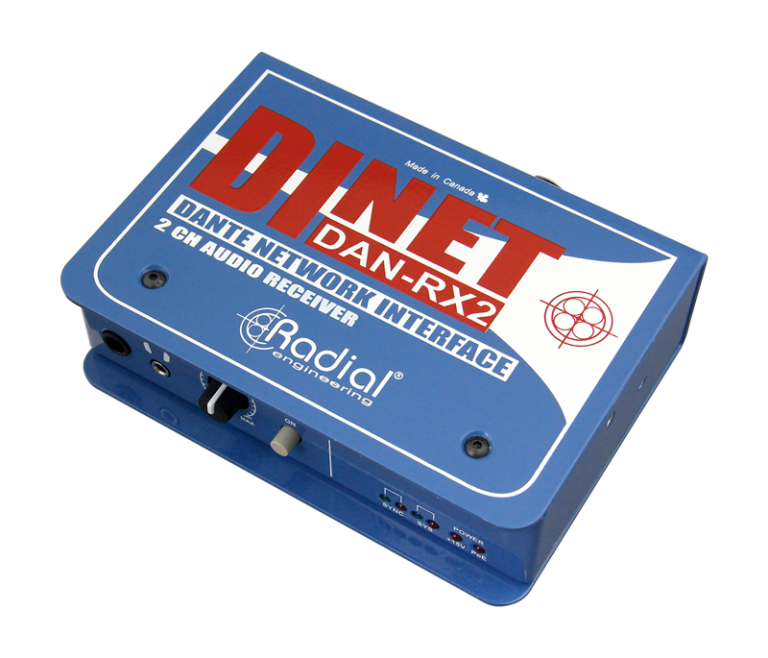 The dedicated headphone outputs on the DAN-RX2 allows it to be used as a personal monitoring system. 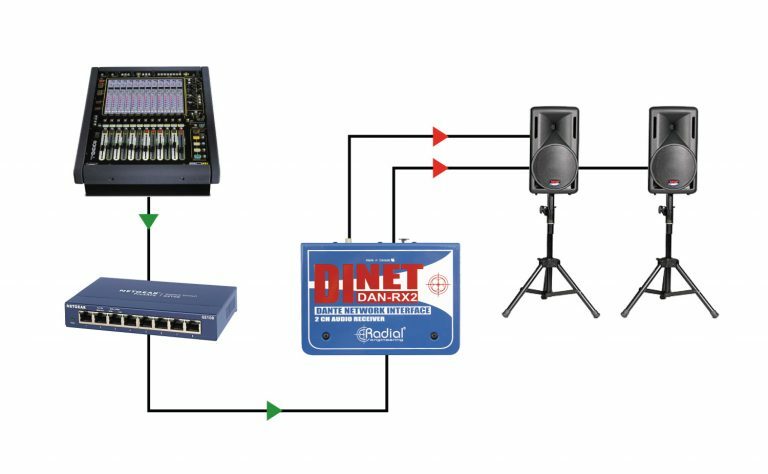 The sound engineer can create a unique mix for musicians, producers or any other event staff that need to monitor a feed in any location on the network.